Akhirnya tahun pertama saya lewati juga, alhamdulillah dengan nilai yang tidak terlalu bagus dan tidak terlalu jelek. Hal yang patut saya sukuri adalah semua kredit untuk program master telah saya penuhi, jadi tahun depan tinggal konsentrasi ke Thesis aja (semoga bisa selesai). Untuk semester awal saya di NTUST, seilahkan bernostalgia disini. Semester ini berhasil saya lewati dengan baik, walaupun harus mengarungi lautan api dan mendaki gunung yang terjal 🙂 . 5 Mata kuliah untuk program master harus saya selesaikan dalam satu semester, untung awalnya diizinkan Prof untung ngambil segitu banyak kuliah. Secara umum, nilai matakuliah manajemen saya lebih baik dari pada nilai mata kuliah bidang computer science 🙂 . Secara kuliah manajemen itu cuma memahami konsepnya aja, dan lagian Prof di manajemen baek2 klo ngasih nilai :)) . Yeah… that is mathematics. Remembering my old time, when i was in senior high school, my favorite lesson was mathematics. At that time, we have a cheer for mathematics “Onde matem” hehehe 🙂 . But, it is different for today. Event just a simple differential, its hard to solve. I’m thinking of my graduate study… am i in a wrong department or something? Almost of my course in this semester have a mathematics and probability analysis. When i was in senior high school, more difficult the problem… it became more interesting. Maybe the reason is in my undergraduate study. I have only two course in basic calculus and another two course in advance mathematics (Discrete mathematics and Applied mathematics). From that time I leave my mathematical instinct passed away from my mind, concerning on Informatics engineering only. I will share about my difficulties in write some of programming language code. In the beginning of this month, I had Network Performance Analysis and Simulation homework. It’s about simulation program in queuing theory. We should make some code to simulate M/M/1/K and M/M/m/m queuing system. 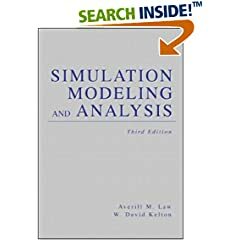 The simulation result will be compared to analytical approach calculation. By using my notebook, that have limited specification (memory only 256 MB), I cannot install any heavy compiler or debugger (i.e Visual Studio or Visual Studio .NET Frameworks). By suggestion of mbak Iin, I use easyEclipse C/C++ (open source application), its not consume much energy (Ram, Processor etc). First of all I install easyEclipse for C/C++ Interface. 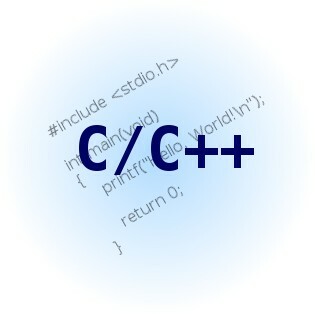 After install the application … i try to make a simple C code, named HelloWorld. Unfortunately the code is not running :(( . Selesai sudah satu exam untuk semester ini, masih ada banyak lagi exam yang akan saya hadapi semester ini. Mulai dari Network Performance Analysis and Simulation, Advance Computer Networks, Production Management dan Supply Chain Management. Ditambah lagi dengan project akhir dari setiap mata kuliah. Huiiiiks, semester triple combo 😦 . Pagi ini selama hampir 3 jam SKS saya terpaku didalam kelas untuk ujian Cryptography. Ujiannya emang open book, open source, open apa aja deh yang bisa diopen 🙂 … open teman juga boleh klo mau 😀 . Tapi tetap aja… Suse amir. Sebagian soal memang hampir sama dengan soal exam tahun lalu. Baru dapat soal tahun lalu tadi malam… jam 23.00, gila abis. Langsung ngacir nyari jawabannya sampe jam 2 dini hari. Liat aja tuh mata teman2 pada merah semua pada waktu ujian, whehehe 😀 . Masih berkaitan dengan salah satu mata kuliah yang saya ambil semester kemaren. Multimedia Wireless Network, kebetulan salah satu materi yang diberikan pada waktu kuliah adalah tentang IEEE 801.16 a.k.a WiMAX. WiMAX memang merupakan teknologi terbaru, baru saja distandarisasikan pada tahun 2005. Jika kita membandingkan negara sendiri dengan negara lain, memang Indonesia masih dikategorikan sebagai negara tertinggal 😦 . Lihat saja dengan teknologi WiMAX, negara-negara maju telah berlomba-lomba untuk mengaplikasikan teknologi WiMAX. Indonesia hanya sedikit mengetahuinya lewat gempa Tsunami di Aceh pada akhir tahun 2006 lalu. Sebagai salah seorang anak bangsa… memang masih banyak yang belum dapat saya lakukan mengenai hal ini. Untuk memajukan teknologi WiMAX di Indonesia, mungkin butuh waktu yang lama. Akhir-akhir ini muncul berita yang membuat hati kecil saya bangga. Walaupun masih sebatas ide… dan harus digodok lebih matang lagi. Indonesia telah mencanangkan pengembangan lokal WiMAX. Melalui direktorat jenderal Pos dan Telekomunikasi, pemerintah mengucurkan dana sebesar 18 milyar ripis yang dibagi dalam dua jenis penggunaan. 8 milyar dana akan digunakan untuk pembelian perangkat, mulai dari antena, alat ukur dlsb, sedangkan biaya operasional dianggarkan sebesar 10 milyar. Proyek lokal yang melibatkan komponen pendidikan, pemerintah dan pihak industri ini diharapkan dapat terus berkembang. Momentun ini dapat digunakan bangsa kita agar kelak dapat mengekspor perangkat WiMAX keluar negeri. Belum ada kata terlambat untuk berbenah, suatu gagasan dan ide cemerlang sudah ada didepan mata. Berharap semua pihak yang terlibat menunjukkan profesionalismenya. *Gambar adalah M-Taiwan : project WiMAX di Taiwan. Lecturer of this course was my Professor (i should pay more attention 😀 ). He used Introduction to Wireless and Mobile System 2nd edition by Dharma P. Agrawal and Qing-An Zeng as text book. That book explains how wireless system works, how mobility is supported, how infrastructure underlies such a systems and what interaction is needed among different functional component. Some of the chapter are : Probability, Statistics and Traffic Theories, Cellular concept, Mobile communication system, Ad hoc and sensor networks, Wireless Mans, Lans and Pans etc. This text book tell us basic concept (not in detail) of mobile system works. When we need more detail explanation about each chapter we should find another references related. This tentative mark for this course was divided into three main parts. Home works, Final exam and Final project. I have done well for the home works and final exam… now i’m waiting for the result of my final project. The final project was about reviewing some papers related to the course topic and wrote down our report. Hohohoho… this course was very difficult to me. Prof Ray used Multimedia Wireless Networks – Technologies, Standards and QoS from A Ganz and Z Ganz as the text books. But for this semester we just finished until chapter four from that book. The book tell us about Wireless networks including QoS (Quality of Services) mechanism based on related technology. Almost a semester we studied about Standards and QoS in IEEE 802.11 family, IEEE 802.16e (the main part). The text book only used as reference, basic material came from papers and another people research. So, actually i should take the another prerequisite course before take this course. Prof Ray also teach us about recent technologies in wireless multimedia networks. One of the class material was come from conference. We should go to Taipei WiMax Showcase and Conference to learned about recent technology in WiMax. This course gave use two major point for the result. Final exam and Final project. I’m not satisfied with my ability in both of that categories. I have bad performance in presentation for the final project and i loss my final exam (may be only half from the max value 😦 ). Hope i will pass this course. Amin. Finally… this was my course that excluding from my credits. This course just for having fun. Basic Chinese Listening and Speaking level 1 was the name of this course. I went to the class twice a week, on tuesday and thursday night. Almost the student from this class came from Indonesia. So, when the Wang Chen-chen laoshi (teacher, red) tell us in chinese… we (yinni ren) make some chit chat in Indonesian language 😀 . This course is very useful for me, i know how to spell a word in chinese and how to count for buying something 🙂 . Wang Laoshi divided the course exam in three ways. Midterm exam, Final Exam and Oral presentation. Midterm and Final exam was writing exam and for the oral presentation we should tell some speech in Chinese. I get good result for this course (bashiqi) 😀 . Practical Audio-Visual Chinese was our text book for this course. Two days ago (Thursday, red) was my last day in this semester. At that day I had my last exam in computer networks course for this semester. For this semester I took five course (Computer Networks, Mobile Computing, Multimedia Wireless System and Thesis, Disertation Presentation and Tehcnical Writing), four is the principal course and the last one was Chinese course (exclude from my credits). But, in the middle of the semester I withdraw thesis, disertation presentation and technical writing. This course taught basic concepts of computer networks. Prof Chen used Computer Networks 4th edition from Tanenbaum – Prentice Hall as text book. Actually that book is familiar to me, because i have already get computer networks in under graduate school with the same text book. But, at that time… i knew nothing at all. Came to the class, feel as sleep… and so on 😀 . 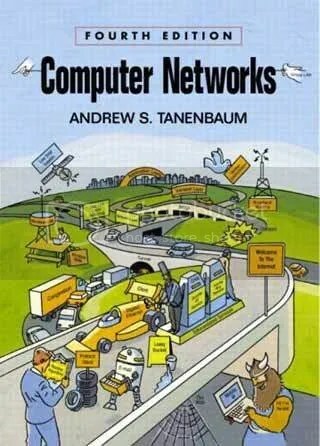 All the chapter in this book tell the story of computer networks in basic network protocol. The chapter is arranged by the OSI reference model from lowest layer to the uppest layer. This course is really interesting for me, except the exam. I enjoy all the concept story and every mechanism in network protocol. I think i will not get good mark for this course… i had only 65 in my midterm. Thats unfortunate for me… i missed another two problem at that midterm. Miss understanding about the problem and forget one notation for the formula… hiks, and for the final exam, i do not know yet… hope for better result.